Obituary for Frances E. (Giglio) Lytle | Scala and Roefaro Funeral Home, Inc.
Mrs. Frances E. (Giglio) Lytle, age 76, of New Hartford passed away on Tuesday April 2, 2019 at her home with her loving family by her side. She was born in Utica on December 17, 1942 a daughter of the late Patrick and Helen Atwell Giglio. She attended local schools and MVCC. On November 8, 1986 she was married to William “Bill” Lytle in Historic Old St. Johns Church, a blessed union of 32 years. Frances was at one time employed with the Utica City School District. 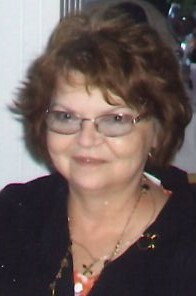 She then worked alongside her husband Bill, as the Bookkeeper in the operation of the family business “Fay Street Warehouse” until her retirement. A loving and devoted wife, mother, grandmother and sister, she will be sadly missed, but never forgotten. Surviving are her beloved husband Bill; three daughters and sons-in-law Jane and Kevin Klein of Clinton, Lisa and Scott Lyons of Clayville and Michele Wolcott of AZ. ; one son and daughter-in-law James and Tammy Wolcott of Oriskany; her beloved grandchildren Tyler, Cheyenne, Joshua, Mackenzie and Donte’; one beloved great grandson Liam; her siblings, Jane Puleo, Adrienne Giglio, Cathy Giruzzi, Lisa and Jack Malos, Nick and Sandy Giglio, Bob and Lorraine Giglio, John and Faith Giglio and several nieces, nephews and cousins. She was predeceased by her sister, Sister Catherine Marie Giglio, SOJ; and her brother Bill Giglio; her in-laws Gale and Gladys Lytle, Sr., Gale Lytle, Jr., Richard Lytle and Bonnie White. Visiting hours will be held on Sunday from 2-5 pm at The Scala & Roefaro Funeral Home Inc. 1122 Culver Ave. All are invited to attend her Mass of Christian Burial on Monday morning at 10:00 am at Our Lady of Lourdes Church. Private entombment will be in Calvary Cemetery Mausoleum. In Lieu of flowers, donations in memory of Frances may be made to Hospice Care Inc. Envelopes will be available. A special Thank You is extended to the nurses of Hospice Care Inc. and St. Elizabeth Medical Center for their care and compassion at this difficult time.